VOORHEESVILLE – William H. “Bill” Allen, Jr., 90, of Voorheesville, passed away on Sunday, January 29, 2017 at Our Lady of Mercy Life Center in Guilderland. Bill was born in Albany, the son of the late William H. Allen, Sr. and Helen Huth Allen. He lived in the area all his life. He was a graduate of Christian Brothers Academy Class of 1944, and served in the U.S Navy during World War II aboard the USS Columbus. Bill was a 1950 graduate of Siena College, and entered the family business Allen Carpet Cleaning where he was employed for many years. He also operated a carpet sales showroom on Central Avenue in Albany. After his retirement from the carpet business, he was employed by the New York State Lottery as an auditor. He was a member of the Knights of Columbus, and also served for many years on the Albany Port Commission, including service as Chairman of the Commission. Bill was a very talented and accomplished baseball player. He also loved the game of golf which he enjoyed all his life, and he was a devoted fan of the New York Yankees and the New York Giants. 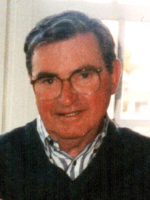 Bill was predeceased by his wife Mary Joan Reilly Allen in 1985, and by his wife Alice Marie Wilson Allen in 2012. He is survived by his sons William H. Allen, III of Albany, John Allen (Cynthia) of Voorheesville, James Allen (Janet) of Union, KY, Thomas Allen of Denver, CO, Robert Allen (Kathleen) of Wilmington, MA, and Terrance Allen (Lisa) of Wake Forest, NC; his grandchildren James, Gregory, Shane, Morgan, and Brittany Allen; and his great granddaughter Kali Allen. He was also predeceased by his sister Jane C. Allen Gobel, his grandson Justin, and his great granddaughter Aryanna. A Mass of Christian Burial will be celebrated Friday morning at 10:00 am in the Parish of Mater Christi, Hurst Ave. & Hopewell St., Albany. Relatives and friends are invited. There will be no calling hours. Interment will be in St. Agnes Cemetery, Menands. Arrangements have been entrusted to the Hans Funeral Home, Albany. 40 North Main Avenue, Albany, NY 12203. To leave a message of condolence for the family, please visit www.HansFuneralHome.com. Click here to view Bill’s resting place (within about 15 feet) in St. Agnes Cemetery, Menands, NY 12204. I am very sorry for your loss Bob. Thinking of you and your family. Our condolences and heartfelt sympathies to you and the family. As a fellow Navy Veteran, we wish all fallen shipmates and especially your Dad that they have “fair winds and following seas” in heaven. May God bless your family… thanks to your father and family for your service to our great country. Bob, so sorry for your loss. My prayers go out to you and your family. Bob and family my thoughts and prayers are with you. God bless you and the family. Peace. Bob, so sorry for your loss. Thank you to your Dad for his service to our great country, rest easy. Our thoughts and prayers to you and your family during this difficult time. To all the Allen men and their wives and loved ones, I send heartfelt sympathy. Bill was a fine man and always gracious and kind during the time I knew him. I am very sorry for your loss. I’m so sorry Bob, Kathy and family. He must have been a very special man to have raised a son like you. I’m very sorry to hear of you and your family’s loss. Sounds like he was a wonderful man. May God bless him and your family. I am sorry to hear of your father’s passing. My thoughts and prayers are with you during this time. Bob/Kathy – Please accept my sincere condolences for the loss of you father. My thoughts and prayers are with you and all of the Allen family. Thank you William, for your sacrifice and service. Bob – Our prayers go out to you and your family with pure sincerity.